When the temperatures outside are harsh and freezing, there is nothing better than a home full of color and life. Bring nature indoors to reap the benefits of nature’s beauty through every season of the year. 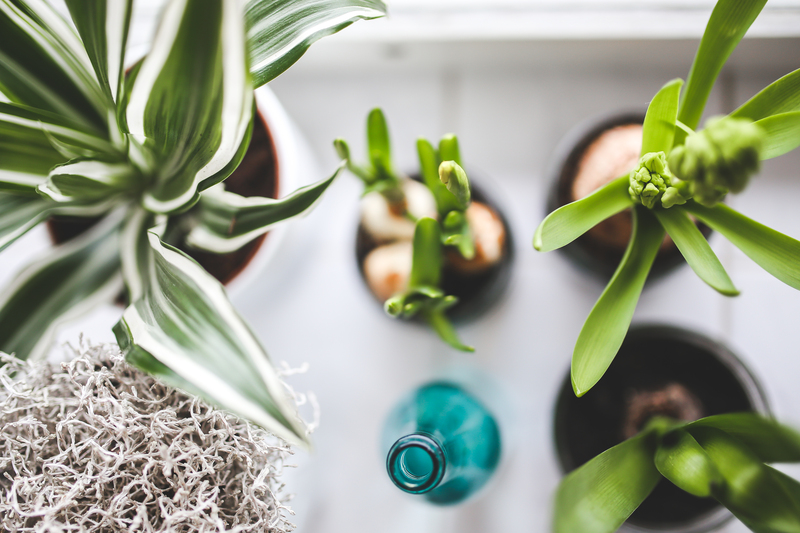 Not only do indoor plants provide a natural form of air purification in the home, but they also produce vibrant and inviting colors, setting a mood of relaxation for all to enjoy. Take a look at the top plants for indoor winter gardening. Hibiscus offers the home a large piece of the tropics during a frosty winter season. Hibiscus is a massive plant. It can grow up to six feet tall, and its flowers can bloom up to eight inches in diameter. Just make sure to keep this plant in the corner window where it will receive plenty of sunlight. Though their name suggests a purple hue, African Violets come in several different colors. They are also quite well known for their ability to bloom all year round. The secret to thriving African Violets is to place them in an east-facing window. This flowering foliage will add a bit of humidity to the dry heat produced by most home heating systems. This low-maintenance, low-light plant is perfect for the novice planter. Peace Lilies are easy to maintain. They require little water and produce an abundance of clean air for breathing. Their glossy leaves and flowers are toxic to pets, so keep Fido away from this gorgeous grower. Jasmine is best known for its sweet aroma. Freshen up the stale air of winter with the pleasant scent of Jasmine. It can be planted in either a pot or a hanging basket, whichever best suits your needs. Christmas Cactus enjoys short days and cold temperatures, making it the perfect plant for winter. Keep this flowering beauty in a cool but bright area of the home. When in full bloom, its flowers give the plant the look of a candy cane with its white and red blooms. If given enough access to sunlight, the Goldfish Plant will produce vibrant orange flowers throughout the year. Display this plant in a hanging basket. Its hanging limbs, adorned with goldfish-like blooms, resemble a ready-to-reel fishing pole. It is important to remember that not all Begonias are suited for indoor growth. Winter-flowering Begonias are better suited for the indoors because they are innately predisposed to bloom with less sunlight. The longer nights of winter provide cover for the beautiful flowers to bloom. Kalanchoe is the best plant to grow indoors for those who have zero ability to keep plants alive and healthy. Kalanchoe can tolerate a lot of abuse. It does not need much sunshine or watering. It can almost be left dry throughout the winter season. Overwatering will kill Kalanchoe quickly. Streptocarpus, also known as Cape Primrose, is closely related to the African Violet. So much so, that they can both use the same type of fertilizer. Many types of Cape Primrose are highly forgiving to those who are not the best at keeping up with watering. Bringing bulb flowers indoors for the winter is a bit of a challenge. This feat is not for the novice gardener. Tulips, Daffodils, Hyacinth, and Iris are all good examples of bulb flowers. Typically, bulbs need up to four months to “chill” in the ground before they produce blooms. This environment would need to be simulated indoors to achieve success, but it is possible. Bulb flowers just take a little more tender, loving care to survive outside of their normal seasons.